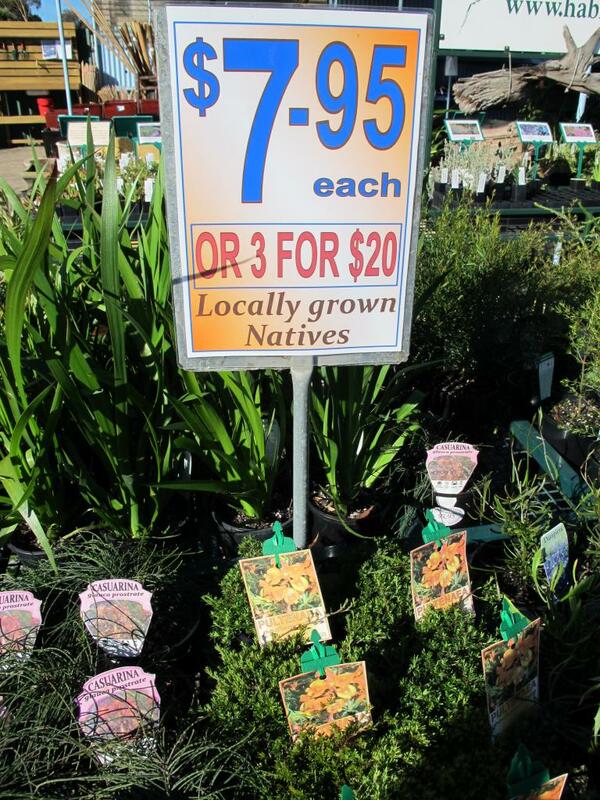 Native plants are having a huge surge in sales, not only are they bird attracting, tolerate most soils wet or dry and flower for long periods but they are also relatively cheap to buy. 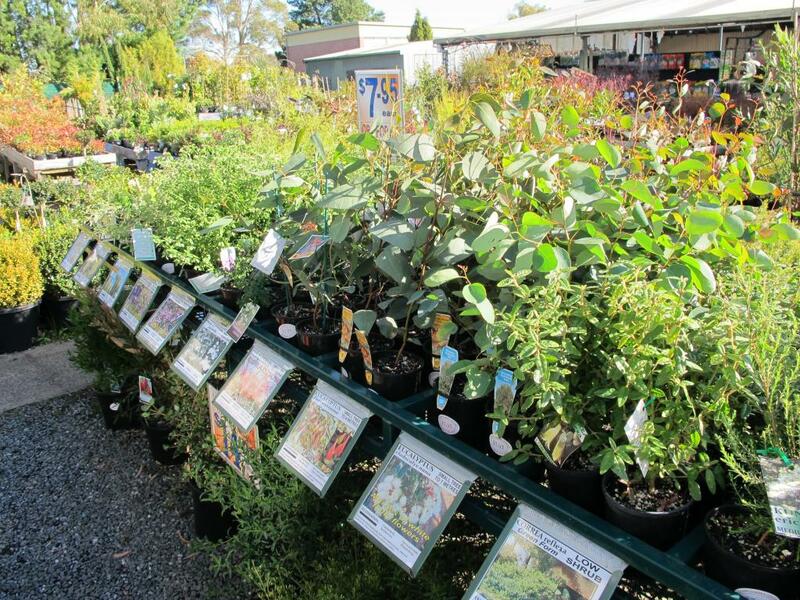 We have a very well maintained stand of locally grown, hardy assorted Australian natives that will delight all gardeners. 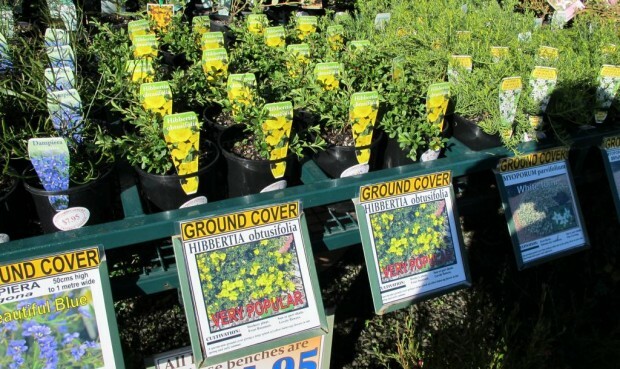 Ground covers, low growing, medium and taller specimens are all available. Each plant has a bright, bold easy to read descriptive label at the front of the stand to help you with your selection. 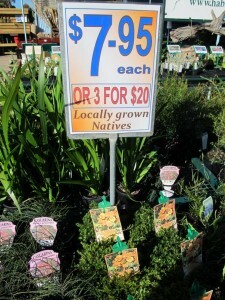 Priced at 7.95 per plant or a mixture of 3 for 20.00 the native plant stand is one not to miss.